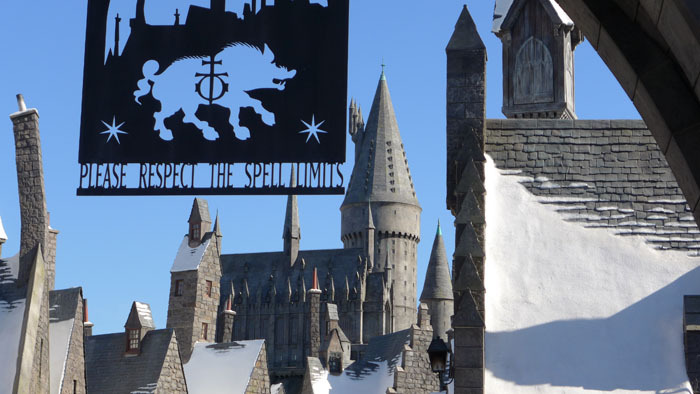 Behind The Thrills | Wizarding World of Harry Potter Nearing Completion at Universal Studios Hollywood! 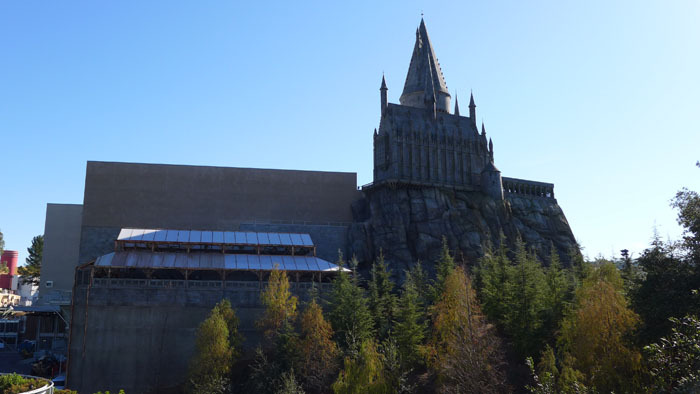 Wizarding World of Harry Potter Nearing Completion at Universal Studios Hollywood! 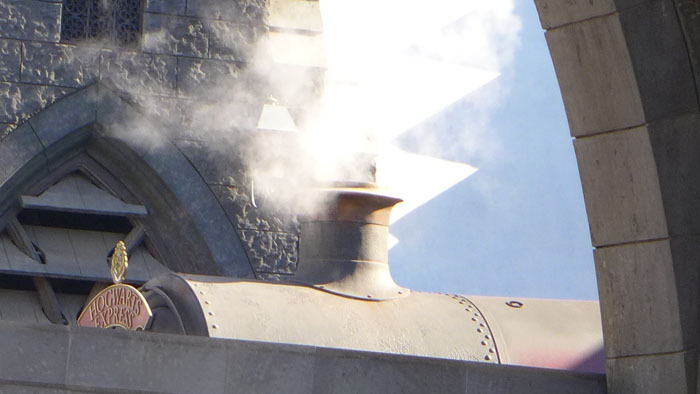 Potterwatch has made its way to the west coast at long last. 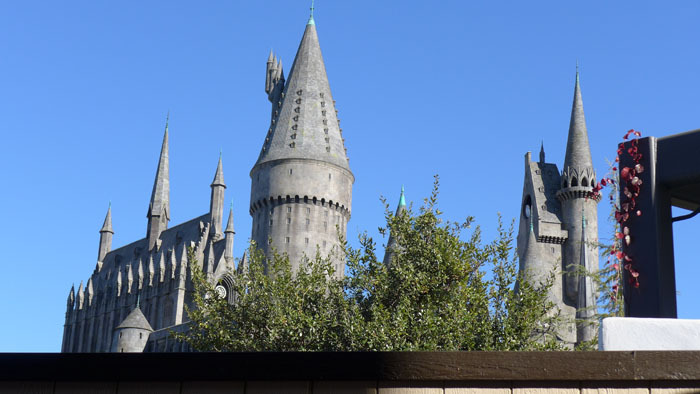 Finishing touches are being added, employees are getting their first looks into the new land and any day now, we’ll start seeing pictures from inside the highly anticipated new addition to Universal Studios Hollywood. Construction walls surrounding the land have mostly been removed with a few small exceptions blocking pathways into the land. 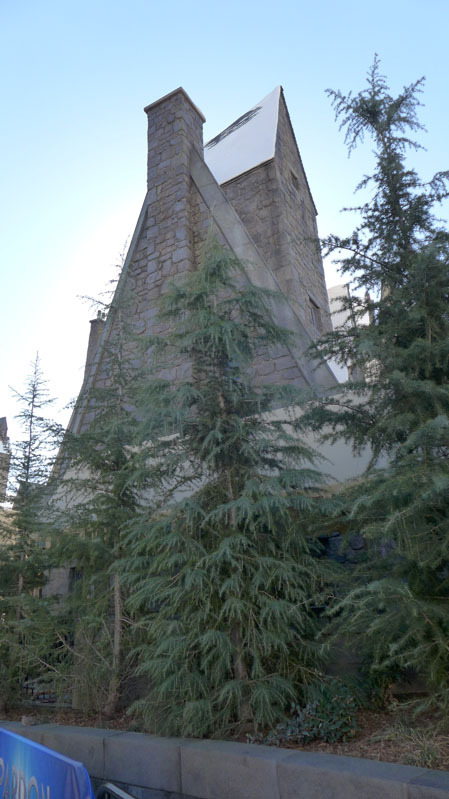 The main entrance looking to greet guests into the world of Harry Potter has already become one of the most popular photo spots in the park. Hogwarts Castle sits off in the distance. The structure towers over the park (and Burbank), it can basically be seen for miles. 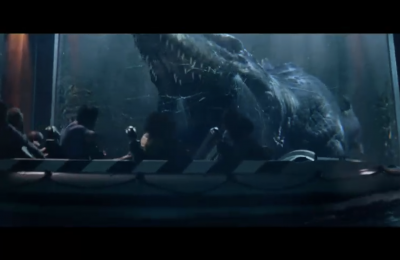 Nothing of this scale has ever been done at Universal Studios Hollywood. It’s truly magnificent to look at. They’ve recently installed extended construction walls and extra trees in the queue for Shrek 3D. 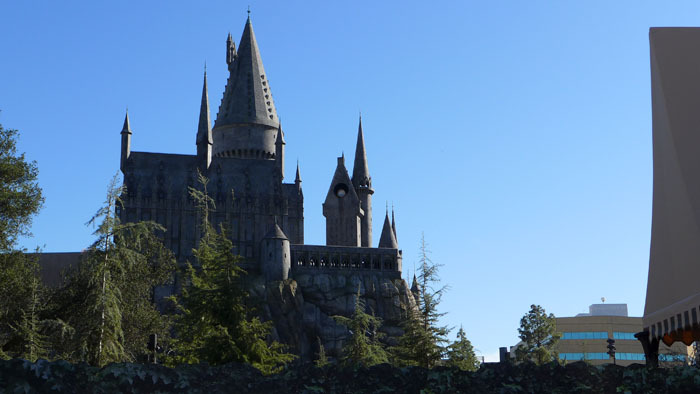 An employee mentioned that people were stopping and taking pictures of Hogwarts Castle from Shrek so much so, it became a major crowd flow issue for the aging 3D attraction. 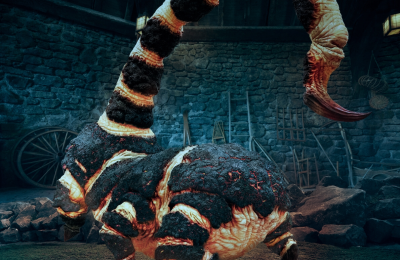 Some folks only getting in line for Shrek to catch a peek at Hogwarts, then leaving. The backside of The Owelry is getting a total lighting package. The buildings are also all complete, and merchandise is slowly making its way onto the shelves for the first guests. 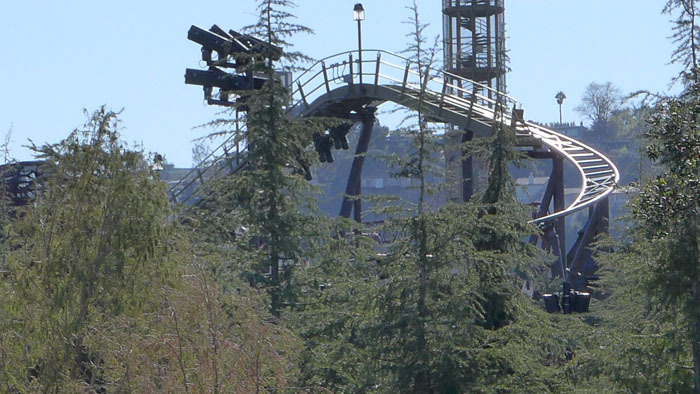 From a different vantage point, Flight of the Hippogriff can be seen peeking above the new treeline. Hollywood’s will feature an altered layout from the current version in Orlando and Japan as well as feature a total redesign of the trains. It’s a welcome addition to the park for sure! 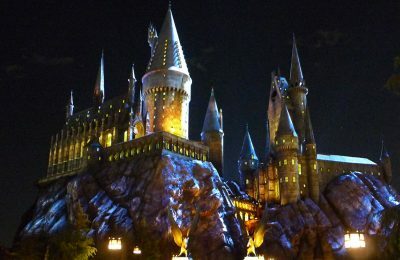 Hogwarts Castle as seen from Springfield. 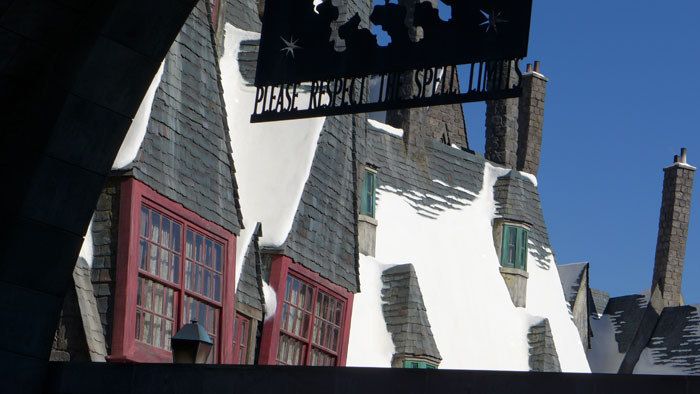 Guests can get a good vantage point down the backside of the Three Brooms sticks from the side entrance as well. 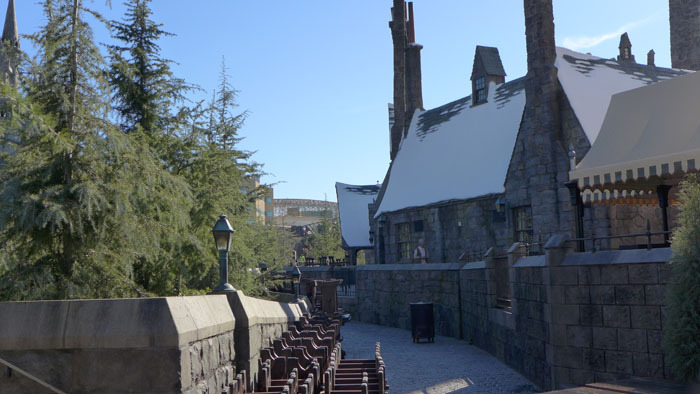 One last view of Hogwarts from the Studio Tour bridge. For a video tour of the new land be sure to check out the video below! Technical rehearsals are just around the corner and based on how completed the land is looking, it could easily happen within the next 2 weeks! 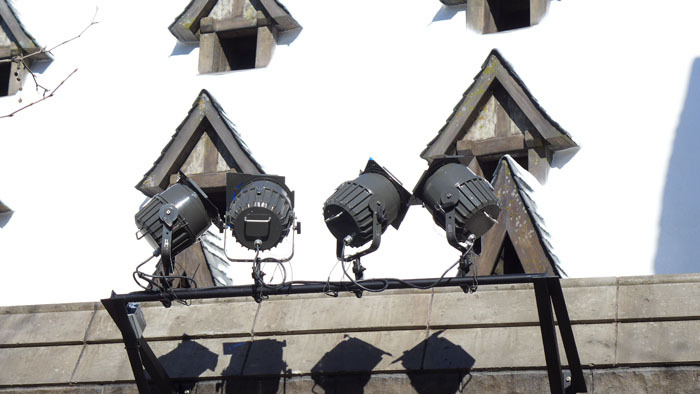 Be sure to follow us on Social Media for the latest Wizarding World of Harry Potter news. 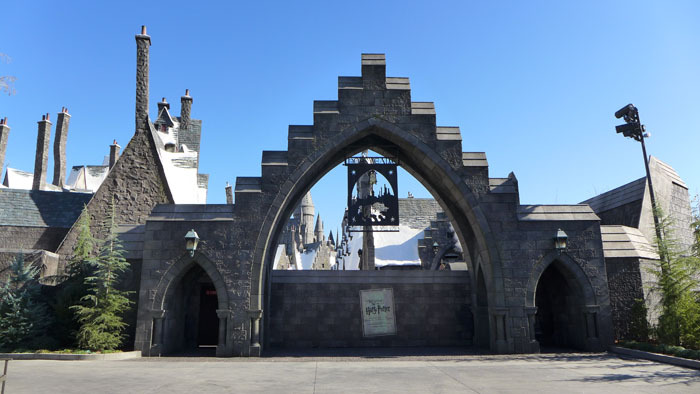 Previous PostNew details revealed for Wizarding World of Harry Potter at Universal Studios Hollywood Next PostKylo Ren meet and greet opens at Disney's Hollywood Studios at Walt Disney World!